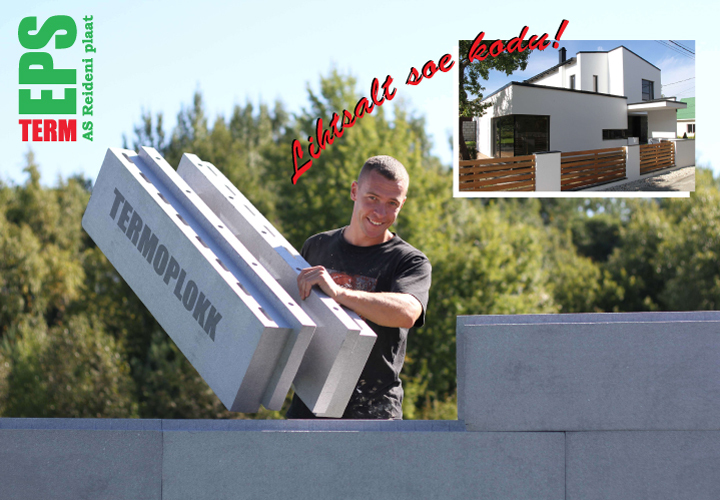 TermoPlokk – energy saving construction solution! Energy saving house from TermoPlokk! 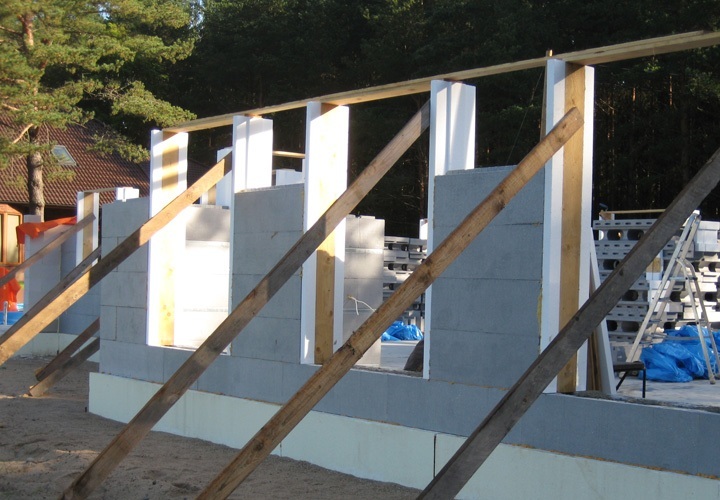 TermoBlock Silver 320 is a construction block with low thermal conductivity for building of small residential houses’ strip foundations and external walls. 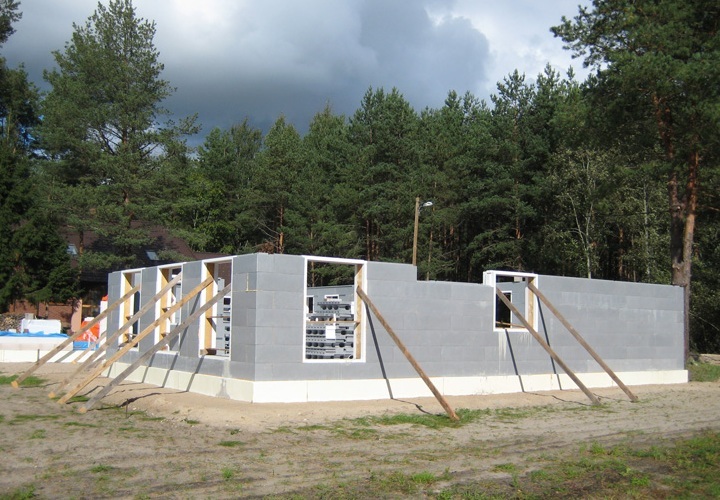 TermoBlock Silver 420 is a construction block with especially low thermal conductivity for building of small residential houses’ strip foundaments and external walls. Apertures are created by using Aperture profile and a wooden frame, to which later the window or door frame will be fastened. 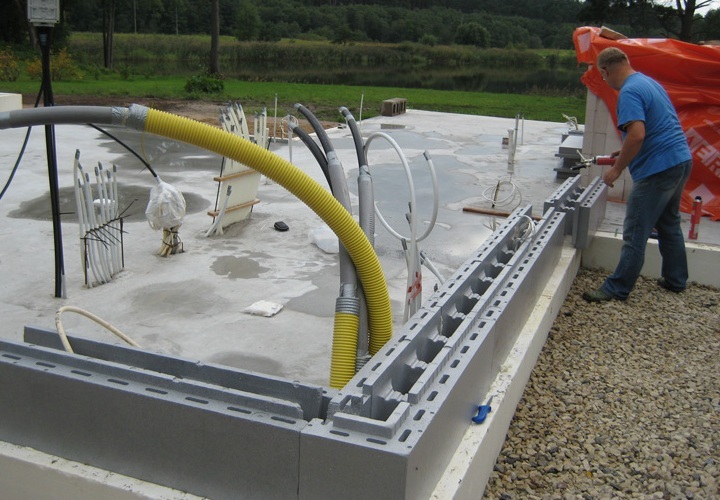 L-Blocks are specially designed to ease building of small residential houses’ insulated plate foundations. 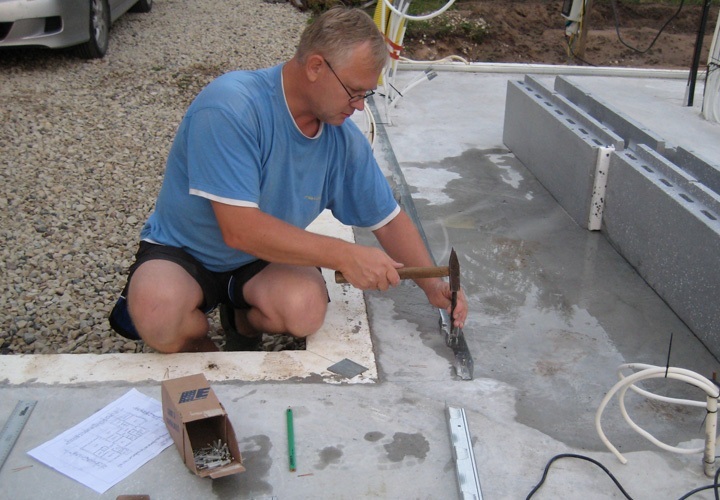 A-Block is specially designed to ease building of small residential houses’ insulated strip pad footings. 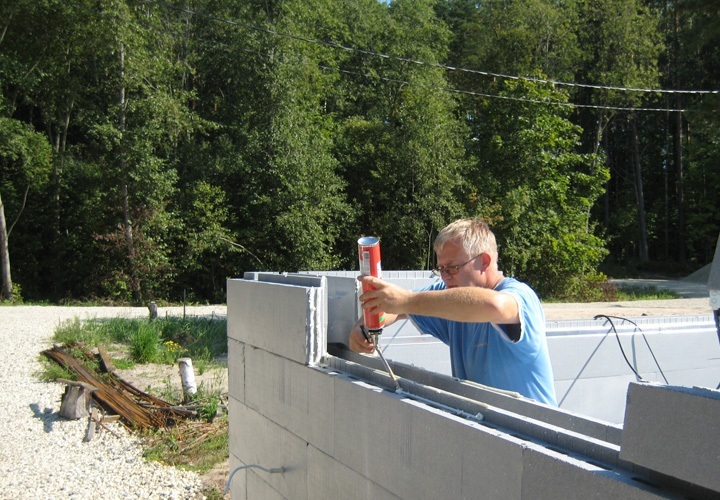 Metal profile is used for external and internal fastening of counter-battens, plasterboards, skeleton and structures to TermoBlock blocks.